I Battlefield 5 samler du dit helt eget kompagni af soldater, våben og maskiner. Alt kan tilpasses og udsmykkes, og det skulle give den mest personlige rejse i seriens historie. Den seneste trailer fra Battlefield 5 går i dybden med spillets progression og de mange muligheder for at udsmykke soldater, våben og maskiner. 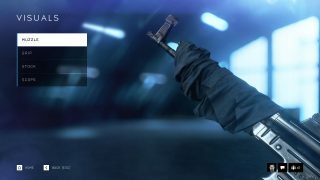 Det virker til, at DICE har forsøgt at lave “customization” til alle aspekter af Battlefield 5, og så længe det ikke hænger sammen med en spillerfjendtlig økonomisk side ala Battlefront-misæren, lyder det jo som nogle gode tiltag. In this first part in a series of articles about The Company, we’re exploring how Battlefield™ V gives players unmatched choice, control, and agency on the war front with a new personalized system. Battlefield V brings you on an unfolding journey through a never-before-seen portrayal of World War 2. The Company is your collection of soldiers, weapons, and vehicles, which grow and change along that journey. Through every multiplayer mode your Company stands with you from the very start of your combat tour, ready for a fight. With nearly every minute spent on the battlefield, you will earn new abilities and customization options that help calibrate your ability to maneuver, exploit, and turn the ever-changing battlefield in your favor. Each choice you make will impact your overall effectiveness on the front, and nearly every gameplay experience will demand a deeper level of strategy from your Company. For a better look of the Battlefield V progression system, keep a look out for our upcoming breakdown. The Company is designed with teamwork at the forefront. Because no one soldier can do it alone, we are bringing more depth to our iconic classes of Recon, Support, Assault, and Medic with the introduction of Combat Roles, previously known as “Archetypes.” Keep reading to learn how to select these specialized roles for each soldier in your Company, then read how to get the gear to match. 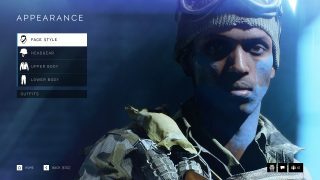 The more you play Battlefield V, the more abilities and customization options you’ll unlock. Tides of War brings new items to your Company, inspired from the locations you’ve deployed to on your journey. Our upcoming Battlefield V Progression article will explain playing nearly every mode will level up your Company. With these personalized loadouts, you can easily switch styles during matches and be prepared for any encounter. Each soldier in your Company will start with a base loadout of weapons, which varies by class. More weapons can be earned or unlocked using in-game currency, as will be discussed in our upcoming game economy article. The more you use your weapon in battle, the more you open additional customization options such as receivers, stocks, barrels, muzzles, and others. The path you take to upgrading your weapon, both its guts and looks, are tied to the way you play. Weapon visual customizations are distinct, meant to show your defeated enemy the unique designs of the gun that brought him or her down. Add weapon skins to your weapon’s body, receiver, stock, barrel, muzzle, and more. As previously mentioned, your one personalized Company per faction contains one tank and one aircraft at the start. Like weapons, vehicles can be earned through gameplay or unlocked using in-game currency and are upgraded according to how often they are unleashed in battle. Vehicle visual customization will be available after launch, so start planning to customize your tanks with paint jobs, sand bags, leaf camos, and more to really stand out. ….ren gøgl – for man får alligevel ikke lov til at udsmykke med Div. Totenkopf eller Gross-Deutschland….for så er det lige grov nok…..#1 – ja netop !